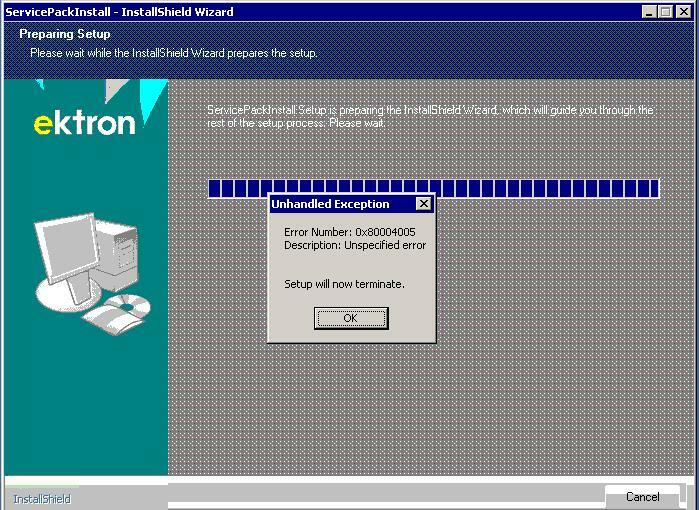 Some customers have run into a very cryptic error message when trying to install Ektron 8.02 series of the product. The error message is below. If you are connecting through RDP (Remote Desktop Protocol) to run the upgrade or installation with the color set to 8 bit then Setting the color to 16 bit and reconnecting resolves the error.